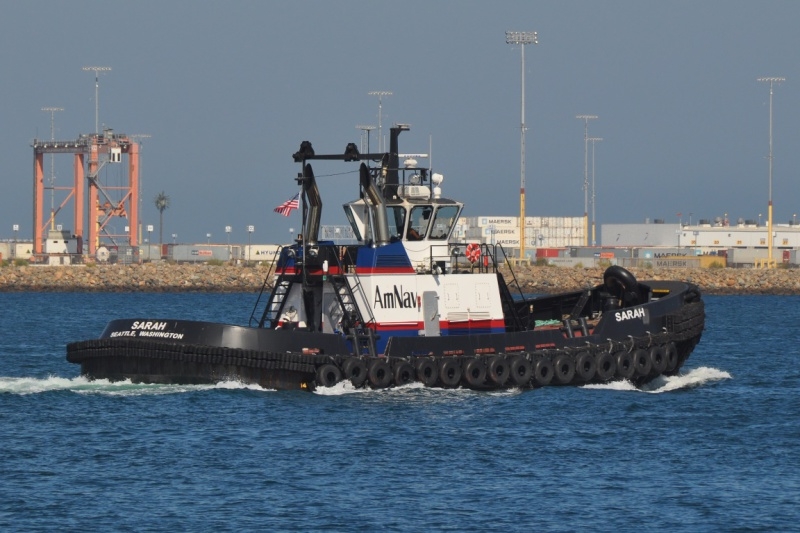 Built in 2015 by Diversified Marine Incorporated of Portland, Oregon (hull #31) as the Sarah for the Brusco Tug and Barge Company of Longview, Washington. Designed by naval architecture firm Robert Allan Limited of Vancouver, British Columbia for the Brusco Tug and Barge Company of Longview, Washington. 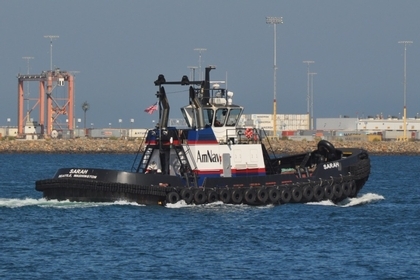 Powered by two, Caterpillar 3512C diesel engines. With Rolls-Royce z-drives, outfitted with 94.5(in), fixed pitch propellers. For a rated 4,732 horsepower.